عندما تزور جولد كوست, ستشعر أنك في بيتك في Horizons Motel الذي يقدم لك إقامة متميزة و خدمات عظيمة. يمكن من هنا للضيوف الاستمتاع بسهولة الوصول إلى كل ما تقدمه هذه المدينة النابضة بالحياة. إن سهولة الوصول من الفندق إلى المعالم السياحية الشهيرة الكثيرة في المدينة كمثل Roadshow Antique Jewellery, نوبي, Gold Coast Organic Market هو استثنائي بحد ذاته. استمتع بالخدمات الراقية والضيافة التي لا مثيل لها بهذا الفندق في جولد كوست. يمكن لضيوف الفندق الاستمتاع بالميزات التالية على أرض الفندق: مرافق مخصصة لذوي الاحتياجات الخاصة, تسجيل وصول/خروج سريع, تخزين الأمتعة, واي فاي في المناطق العامة, صف السيارات . لقد جهزت هذه الإقامة الفندقية بعناية فائقة لتوفر مستوى عالي من الراحة. في بعض الغرف يجد النزيل تلفزيون بشاشة مسطحة, غرف لغير المدخنين, مكيف هواء, تدفئة, مكتب. سواء كنت من محبي الرياضة أو كنت تتطلع لتفريغ عناء نهار صعب، ستجد خدمات ذات مستوى عالي بانتظارك كمثل حمام سباحة خارجي, حديقة. اكتشف مزيجاً ساحراً من الخدمة الاحترافية والخيارات الواسعة من وسائل الراحة والمتعة في Horizons Motel. pity about the pool pump. Nice, clean and comfortable, staff were great. Only issue was very little sound proofing to the outside, not a huge problem but keep it in mind if you're after somewhere quite. what a lovely owner. such a helpful beautiful soul. the motel is old but clean and tidy. the bed was comfy. the location was great shops next block and transport was so handy. will stay there again. Good: location is 5 minutes from the beach. Reasonably clean Bad: poor lighting, no overhead lights just side lamps and pretty basic facilities for the $160 a night we paid for. Nice motel close to beach and Nobby's cafes and restaurant. On the GC highway but can barely hear any noise from the room. I'll definitely use it again. We used Horizons Motel for just one night but were very pleased with staff and location. We landed at Gold Coast Airport after 7pm and were arriving after reception hours at the motel but staff were still quite attentive and welcoming. 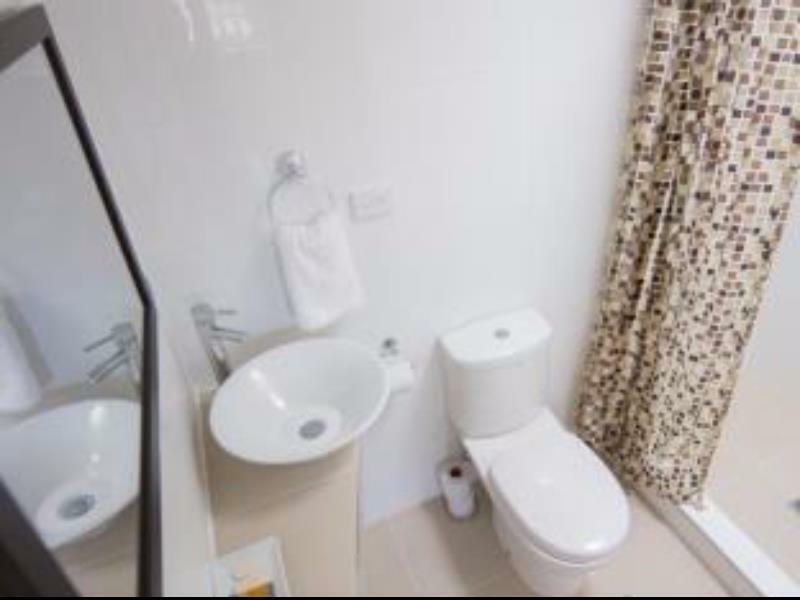 The location is walking distance from a bus stop that also services the Gold Coast Airport. Additionally, the beach is within walking distance, as are supermarkets, alcohol shop and cafes. Not flashy inside the room, but had the expected amenities, shower, toilet, t.v., kettle and beds. We really enjoyed our stay at Horizons. Room was spacious, comfortable and great value for money. The managers were so kind and helpful, friendly, caring and happy. It is a great location, short walk to delicious food and beaches. Would definitely return. Good location, staff and value for money! 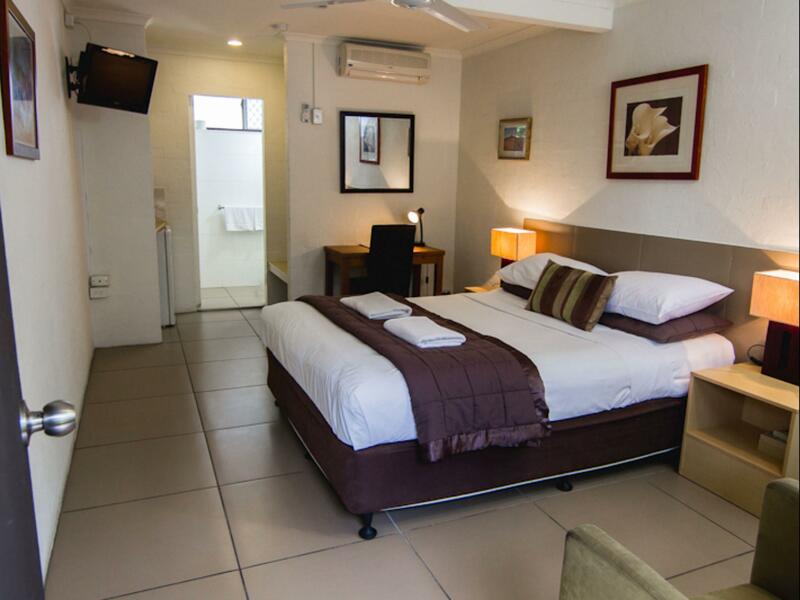 Perfect for quick walk to the beach and cafes etc, comfortable beds, tidy and well equipped. We would stay again. Nice and clean, friendly staff..
Aircon unit in one room only wasn't enough to cool the entire space, also very noisy plus hose led outside of window. Ceiling Fan squeaked if turned onto High setting. Additional charges apply for late checkout 1/2 day charge if not vacated by 10am full day charge after Noon - we thought that was a bit unreasonable given Reception opened at 9am, checkin time was 1pm and noone around to ask for later checkout time. Very noisy occupants in next door room late at night, dragging chairs along floor, loud conversations outside front unit door, lots of coming/going from room by young people, banging on door loudly etc etc. Disappointing. The room was very small for 3 people, decor old and tired and nothing like picture. Small but irritating problems like broken blind in bathroom, bedside lamp did not work, couldn't switch off hot water in the shower. Staff were very friendly and helpful. The lady who checked us in. Bed was comfy. Pool was clean. Was not too impressed at first by the lack of response by e-mail so had to get some contacts to call from Australia to make sure everything was confirmed as we were checking in very late at night. We received a text the night we reach Gold coast for our direct check in instructions and everything were all set when we get there. Room was clean enough and was impressed by the strong shower. Just a bit dark outside during late night. Air conditioning is a plus for a room this price as we found some others not having it. Car parks are available and the buses run past the main road in front to either Gold Coast Airport or Broadbeach for trams. Recommended for staying if you do not look for luxuries. Great room. Helpful staff. Location - main road. Check in smoothly with the help of friendly receptionist. Clean and comfortable room with complete amenities : microwave, fridge, kettle, mug, coffee. Located on the main road of the Gold Coast Highway. Near to the bus station. Very thankful to the nice & helpful staff (my stay was on 15/6-16/6). Perfect. Exactly what we were after, for a great price. Room was much larger than expected. Service was wonderful, and the room was clean and very comfortable. Excellent for a night or two away.